James Messner is a senior associate at FP1 Strategies. Messner helps manage FP1’s communications with clients, ensuring our internal team meet deadlines. Prior to this position, Messner started as an associate in FP1’s public affairs division after graduating from Saint Anselm College in Manchester, NH with a B.A. in political science and minor in accounting. 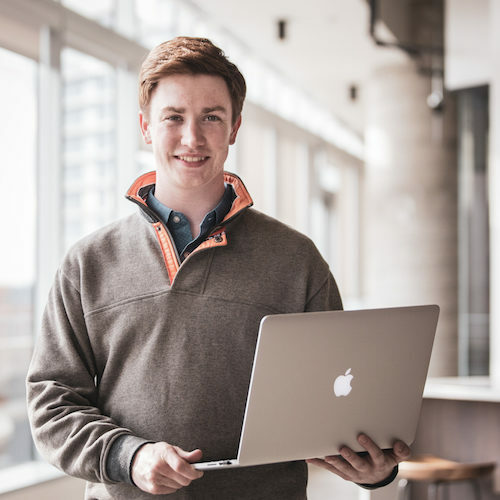 Before graduating, Messner interned at FP1 Strategies during the summer of 2016 and worked on statewide campaigns during the 2014 and 2016 election cycles in New Hampshire. Worked for ABC New’s 2016 Republican debate in Manchester, NH. Interned on Sen. Scott Brown and Sen. Kelly Ayotte’s New Hampshire Senate campaigns in 2014 and 2016.